SCCA announced today the results of a vote by its Board of Directors that will move the National Championship Runoffs® to Road America (Elkhart Lake, Wis.) in 2009. Road America will become the sixth venue to host the event, dating back to 1964. The Sports Car Club of America, Inc. (SCCA) Board directed its staff to move forward to negotiate a three-year agreement with Road America for SCCA Club Racing’s signature event, which has averaged over 650 participants since 2000. 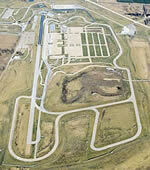 The Runoffs is currently in the final year of a three-year agreement at Heartland Park Topeka, in Topeka, Kan. The first-ever “Interdivisional Championship,” later referred to as the “Runoffs,” was held at Riverside Raceway (Riverside, Calif.) in 1964, and alternated coasts with Daytona International Raceway (Daytona Beach, Fla.) through 1969. In 1970, the event began a 24-year run at Road Atlanta (Braselton, Ga.), before moving to Mid-Ohio Sports Car Course (Lexington, Ohio) in 1994. After 12 years in Ohio, the Runoffs moved to Heartland Park Topeka in 2006. The move after three years signifies a change in philosophy after such long runs at venues from the 1970s through the turn of the century. “Club Racing in the United States has evolved in the last decade, and rotating the Runoffs will do nothing but help the event and the Club Racing program, overall,” SCCA Chairman R.J. Gordy said. The event has grown in both size and stature over the years, with approximately 700 of the nation’s best amateur race drivers from across the country making the annual trek for the event that spans an entire week, preceded by additional days of optional testing. The sheer number of competitors makes the Runoffs the largest annual amateur road racing event in the world, and results in an average local economic impact approaching $10 million each year. The Runoffs annually crown the National Champions of SCCA Club Racing’s National level classes (currently 25) and has been referred to as the “Olympics” of motorsports. Drivers from across North America race locally to earn points, with the top-10 qualifying drivers from the nine SCCA Divisions in each class earning an invitation to compete in the event. The list of past Runoffs Champions is a who’s who in road racing history that includes Skip Barber, Michael Galati, Paul Newman, Bobby Rahal, Graham Rahal, Greg Ray, Boris Said and Scott Sharp. Road America’s history dates back to the early 1950s when public street races in the Elkhart Lake area were a part of the SCCA national championship series. When street racing became illegal in 1952, participants and supporters joined efforts and raised funds to develop Road America. The track held its first event, the SCCA National, on September 10-11, 1955. The inaugural June Sprints® was held the following year, June 23-24, 1956. Today, the 14-turn, 4.048-mile track holds its original configuration and continues to challenge the world’s best two- and four-wheel racers. The date for the 2009 event has yet to be finalized, although it will move from October to September. The 45th SCCA National Championship Runoffs will be held at Heartland Park Topeka October 6-12, 2008. Last chance qualifying was the order of the day. Hans Peters and his Swift 014 Viking was third following Wednesday's Qual session 3, but jumped to the CSR pole position today by being the only driver to break into the 1:31s with a 1:31.996 lap. Wade Carter in his Swift 008 Viking dropped on spot to outside front row, standing on his 1:32.780 time from Wednesday, after only mustering a 1:35.247 out of 3 laps completed today. Mark Jaremko in his "DSR spec" Stohr WF1-BPS likewise dropped to third using his 1:33.222 lap also from Wednesday qualifying. Kerry Jacobsen in a Panoz Elan Dp02 improved his time to a 1:34.517 and retains forth place on the grid. Ken Davis will be on the inside of the third row in fifth with his Lola's after improving his best time to 1:37.597. 17 CSR drivers have posted times for tomorrow morning's race. Matthew DiRenzo retained the top spot in S2 with his JRE SR-71F car, by being the only S2 driver to crack into the 1:40s with a 1:40.971 lap. After sitting out the final two qualifying session, Mark Mercer and his Lola 91/90 stay in second based on his 1:41.417 lap from Tuesday. John Fergus stays in third after setting a 1:42.282 with his Carbir CS2 also on Tuesday. Mark Hardymon drove his Carbir CS2 quicker today, improving his time to 1:42.562, to maintain his forth place spot. M. Bart Wolf and his Carbir CS2.5 (1:43.238) leap-forgged Micheal Baultz and his Lola T90/90 (1:43.257) by only 19 thousanths of a second to take over fifth with Baultz in sixth. With no one able to better his best lap from Wednesday, J.R. Osborne in his Stohr WF1 stayed on top of the charts with his best time in Qual 3 (1:33.340). Mark Jaremko stay on the outside front row base on his best lap from Monday (1:33.377) in his Stohr WF1-BPS. John Bender in the factory West WR 1000 improved his time to a 1:34.756 to retain third spot. David Rigon also improved his time, in the factory Gloria B6S, to a 1:36.126 to keep his forth spot. The third of four qualifying days rewarded patient drivers with a cold but dry track. Overcast skies remained until the middle of the CSR/S2 group. 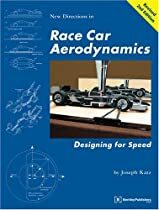 While times in eariler sessions of the day seemed to be slower than Monday, the majority of DSR drivers, and more than half of the CSR/S2 drivers, were able to improve their times. 30 DSR cars posted times in this third qualification session, with J.R. Osborne in his Stohr WF1 topping the charts. His best time in Qual 3 (1:33.340) was only 37 thousandth of a second faster than Mark Jaremko's time (1:33.377) posted in Qual 1 with his Stohr WF1-BPS on Monday. John Bender in a West WR 1000 was again third fastest, improving his time by half a second to a 1:35.014 from his previous 1:35.679 on Monday. David Rigon in the lone factory Gloria B6S was forth quickest and keeps his forth spot set on Monday (1:36.824). Larry Vollum, part of the Stohr WF1 stampede, lowered his time by more than 2 seconds to set the 5th fastest time (1:37.436) of the session, but Steve Shelton in another Stohr WF1 retains that fifth spot in the overall qualification results with his tiem (1:37.209) from Monday. Larry takes the sixth spot overall. Kevin Mitz in his Cheetah SR1 (1:39.522) still leads the unoffical non-tunneled DSR sub-class, still followed by Tom Bootz and his Speads RS (1:39.610). They again posted the 11th and 12th quickest times for the Qual 3 session. Bill Johnson in a Swift (1:42.604) turned in the 18th fastest time for Qual 3. Mark White in a West WR 1000 posted the 7th fastest time in Qual 3, after only finishing one lap and ending at the bottom of Qual 1. Harry Goldman in another Stohr WR1 also got on the board with the 15th best time of the day after posting no tiem on Monday. John Hill still has not set a time, understandably waiting at home with his expectant wife. Wade Carter in his Swift 008 Viking again set the top time in CSR, improving his previous best by half a second to 1:32.219. Mark Jaremko in his "DSR spec" Stohr WF1-BPS took second in the session and overall with a 1:33.222 lap. Hans Peters and his Swift 014 Viking were third in the session, dropping him to third overall based on his Monday 1:33.358 time. Kerry Jacobsen in a Panoz Elan Dp02 also did not improve his time, but stays in forth overall with his 1:34.786 Monday time. Ken Davis, who only completed one lap today, retains fifth with his Lola's (1:40.413) Monday time. Matthew DiRenzo reclaimed the top spot in S2 with his JRE SR-71F car setting a impressive time of 1:41.248. Mark Mercer and his Lola 91/90 were at the top of the chart at the end of Tuesday, but Mercer did not participate in today's session. However, Mercer stays in second overall with his 1:41.417 lap from Tuesday. Photos provided by Lee Stohr. The results from the first of four qualifying session were viewed, via Live Timing feed, for the SCCA's 2006 Runoffs. Former DSR standout, Mathew DiRenzo, raised a few eyebrows when his top S2 time bettered multiple S2 National champion John Fergus by almost 2 seconds. The first DSR Qualification session saw 31 cars post times. John Hill is not at the track yet, understandably waiting at home with his expectant wife. 1.5 second was the separation between the pair of Mark Jaremko in his own Stohr WF1-BPS (1:33.377) and J.R. Osborne in another Stohr WF1 (1:34.003), back to third place John Bender in a West WR 1000 (1:35.679). David Rigon driving the lone factory Gloria B6S posted a 1:36.824 for forth, followed by Steve Shelton in another Stohr WF1 (1:37.209) in fifth. Leading the unoffical non-tunneled DSR sub-class was Kevin Mitz in his Cheetah SR1 (1:42.534) in 11th position, followed by Tom Bootz and his Speads RS (1:42.581) in 12th, then Bill Johnson in a Swift (1:42.812) in 13th. The combined CSR and S2000 afternoon Qualification session had the top three spot separated by only tenths of a second. Wade Carter in his Swift 008 Viking set the top time (1:33.219), followed by Hans Peters and his Swift 014 Viking (1.33.358) in seocnd, with Mark Jaremko in his "DSR spec" Stohr WF1-BPS (1:33.573) in third. Kerry Jacobsen in a Panoz Elan Dp02 (1:34.786) claimed the forth spot, follwed by Ken Davis and his Lola (1:40.414) in fifth. Matthew DiRenzo, posted the fasted time for the S2 class (1:41.495) with his unique JRE SR-71F car, 7th fasted time of the combined session with CSR. Multiple National champion John Fergus had the second fasted time in S2, almost 2 seconds behind DiRenzo (1:43.292) in his Carbir CS2. Third fasted was Michael Bautz in a Lola T90/90 with a best lap of 1:43.580. Mark Mercer in his Lola 91/90 (1:44.096) was in forth, then M. Bart Wolf in a Carbir CS2.5 (1:44.158) in fifth.